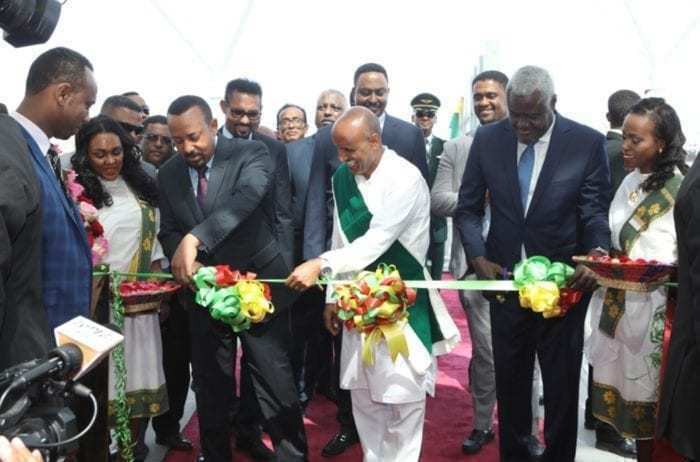 Ethiopian Airlines officially inaugurated its newly-expanded passenger terminal as well as its five-star Skylight Hotel at Addis Ababa Bole International Airport (ADD) on January 27. According to Ethiopian Airlines, Ethiopia’s Prime Minister Abiy Ahmed, African Union Chairperson H.E. Mr. Moussa Faki, Ministers, high-level government officials, Ethiopian Airlines Board Members, Group CEO Ethiopian Airlines Mr. Tewolde GebreMariam, Executive Management Members, and invited guests attended the inauguration ceremony. Photo: Ethiopian Airlines. 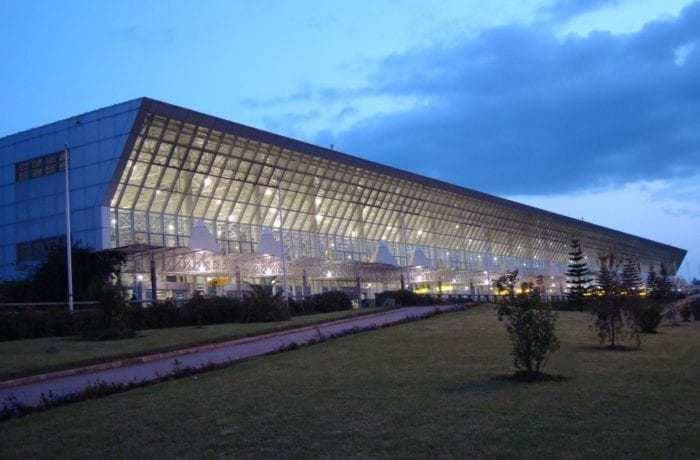 Ethiopian Airlines’ newly-expanded terminal at Addis Ababa Bole International Airport cost approximately $363 million. The Chinese-funded project was completed by China Communications Construction Company. At the new Ethiopian Airlines terminal, passengers will find self-check-in machines, a self-boarding system, comfortable lounges, as well as restaurants, duty-free shops, and other amenities. The terminal also features the latest technology security systems. Addis Ababa Bole International Airport is Ethiopian Airlines’ main hub. Photo: Wikimedia. While the airport was able to handle up to 7 million passengers per year in the past, the newly-expanded terminal has tripled the airport’s capacity. It will now be able to accommodate as many as 22 million passengers per year. Just for comparison, Dubai International Airport has an annual capacity of 90 million passengers. The contemporary and luxurious Skylight Hotel features 373 guest rooms and executive suites as well as a conference hall for 2,500 people. 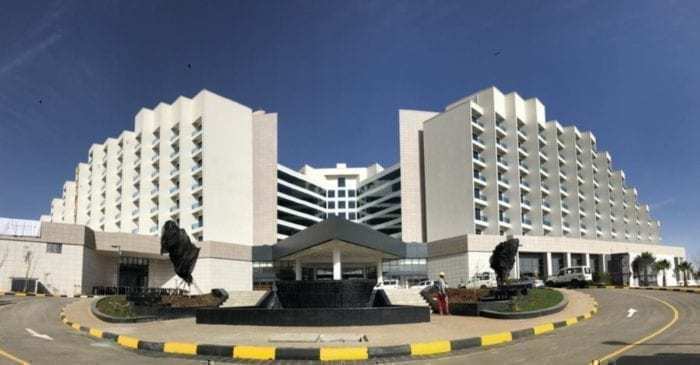 It is the biggest hotel in Addis Ababa. Moreover, it is the home of the largest Chinese restaurant in Africa. The five-star Ethiopian Skylight Hotel is located right next to Addis Ababa Bole International Airport. Photo: PR Newswire. Ethiopian Airlines is Ethiopia’s flag carrier and the fastest growing airline in Africa. The airline serves more than 119 international destinations across five continents. Ethiopian Airlines is the first African operator of the Boeing 787-9. Photo: Ethiopian Airlines. 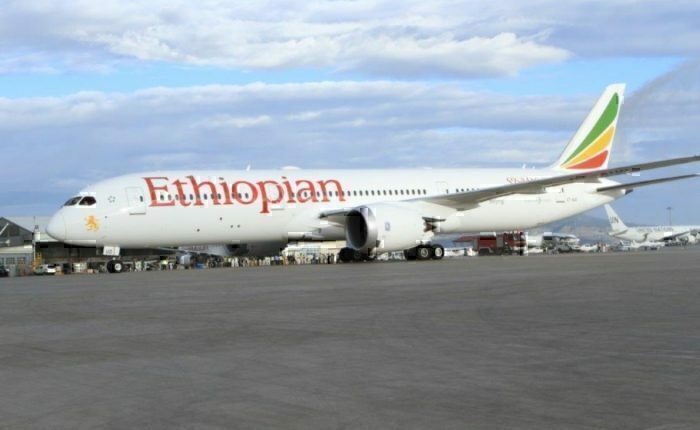 Additionally, Ethiopian Airlines has a total of 65 aircraft on order, including 15 Airbus A350s, 5 Boeing B787s, 4 Boeing B777s (cargo), 10 Bombardier Q400s, 2 Boeing B737s (cargo), and 29 Boeing B737MAX8s. Accordingly, the airline is planning on expanding the size of its fleet significantly in the near future. The airline has already grown an average of 25% per year in the past seven years. Evidently, Ethiopian Airlines has big plans for the future. The airline is in the process of implementing “Vision 2025,” a 15-year strategic plan. The goal of the airline is to become the leading aviation group in Africa over the next 15 years. It has already surpassed South African Airways based on revenue and profit. What do you think of Ethiopian Airlines’ growth plans? Do you think the airline’s growth will be sustainable?